Do I need a Nutritionist for recipe analysis? 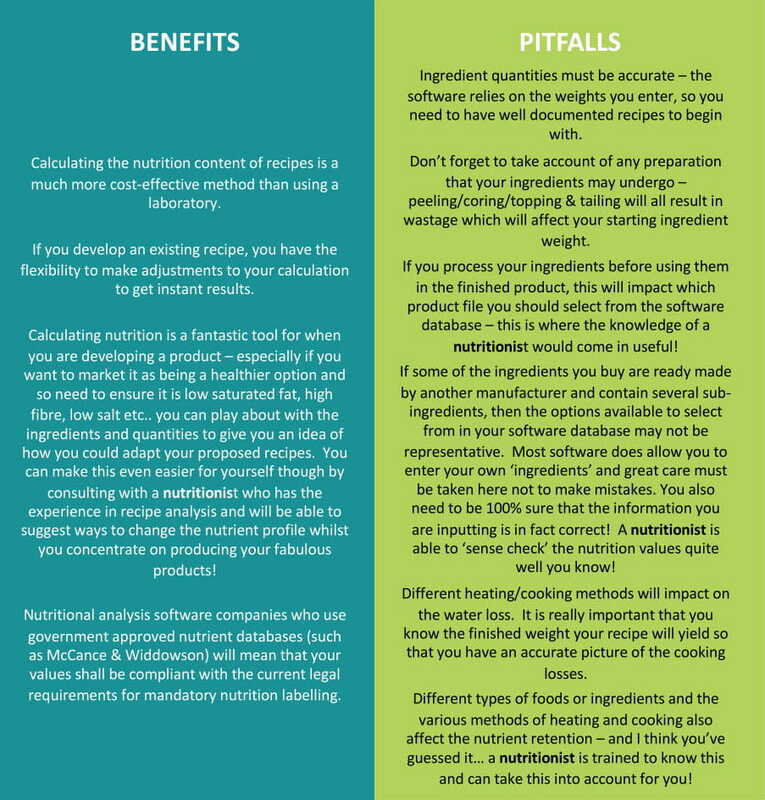 There is a plethora of software options and subscriptions available for businesses to calculate the nutrient contents of their recipes – but as with anything, the accuracy of the data output is only going to be as good as the information going in! 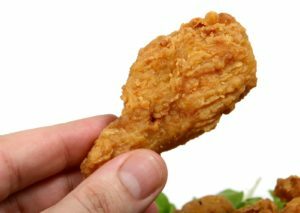 I first wrote about this in 2016 and the importance of using professionally trained experts, but in recent months it has become apparent when talking with several food business owners, that small/medium sized operators are increasingly starting to calculate their nutrition information themselves. 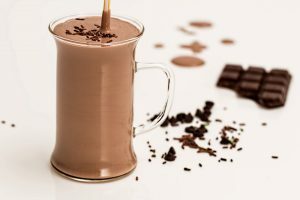 With this in mind, now seemed a good time to revisit and discuss the benefits & pitfalls of calculating the nutrition contents of foods and drinks. AB Food Nutrition has many years of experience calculating the nutrient composition of recipes for labels, menu boards and magazines. Using your product recipe we can take the hassle out of nutrition labelling compliance whilst providing an inexpensive, confidential and personal service to your business. Contact Anne for details. 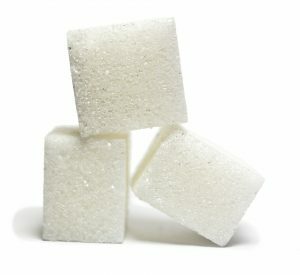 Public Health England (PHE) published the first assessment of progress towards the government’s sugar reduction programme this week – the challenge of which was a 5% reduction in the first year compared to the 2015 baseline. Across 8 of the 10 categories (excluding cakes & morning goods due to data collection limitations) retailers/manufacturers achieved a 2% reduction in total sugar and a 2% reduction in calories in products consumed on a single occasion. Whilst this doesn’t meet the 5% ambition, it is recognised that there are more sugar reduction plans in the pipeline and also some changes took effect after the first year cut-off point. Calories in products consumed on a single occasion have been reduced in 4 categories (Biscuits, chocolate confectionery, Ice cream/lollies/sorbet, yogurts & fromage frais) by reducing the portion size. 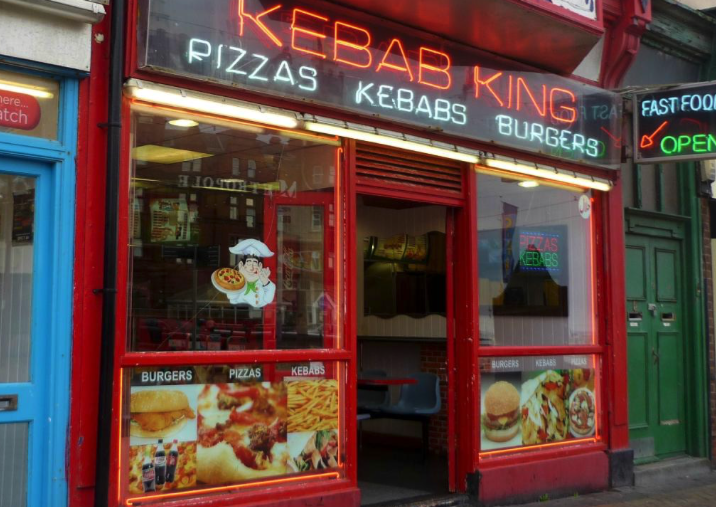 The progress report shows that there is more work still to be done and organisations such as the British Dietetic Association have expressed initial disappointment at the lack of progress made. Some manufacturers and retailers appear to have made very significant progress where others have made very little, if any! Products not meeting the 5% target include biscuits, ice cream, confectionery and puddings which is no surprise, as sugar has functions in these foods other than just providing a sweet taste. Finding alternatives that do not impact on texture or appearance will take time as new technologies are developed. The exemption of milk based drinks from the sugar levy will be reviewed by the treasury in 2020. Progress on drinks covered by the levy shows that in response, sugar has been reduced by 11% and calories per portion by 6%. Data shows more drinks below the 5g/100g cut-off are being purchased. The next progress report on sugar reduction is due spring 2019. In the meantime, it is as important as ever that the industry continues to work on reducing sugar in top selling products by reformulating or reducing portion sizes. AB Food Nutrition works with manufacturers to provide nutrient composition values of their products for labelling and also during product development or reformulation. We can work with you to assess the impact recipe changes will have on nutritional content as well as advising on ways to achieve a desired nutritional profile such as a 5% or 20% sugar reduction as well asa reduction in calories. Contact Anne for further information about our nutrition and labelling services.